► So how should you configure it? We were modestly impressed rather than bowled over when we first drove the latest version of the Skoda Fabia. Its 2018 facelift, four years into its lifespan, left it ‘democratic, unflashy, sensible’. All true. But we’ve now driven the estate version over a busy and varied week on UK roads, and we’ve discovered that the right spec turns the Fabia into a very good car. Now well into its third generation, the Fabia is still – as it’s always been – a supermini that shares its underpinnings with the (previous-generation) VW Polo, Seat Ibiza and Audi A1. It now has to compete against not just those and other superminis, but also the bulging ranks of crossovers such as the VW T-Cross and Seat Arona. All versions are front-wheel drive. There’s a choice of 999cc three-cylinder petrol engines – currently no diesel and no hybrid – with peak outputs ranging from 74 to 109bhp. There are five-and six-speed manuals and a seven-speed paddleshift auto. There’s no hot-shoe vRS version and we don’t get the tougher ScoutLine model available on the continent here in the UK. Inside, there’s a familiar set-up, achieving Skoda’s usual fine balance between simple and elegant. S spec is pretty basic, SE is still simple but perfectly adequate, although you need to pay more for sat-nav; three higher specs are available, but feel like they’re missing the point. You don’t go for a Fabia in search of high performance, cutting-edge dynamics and class-leading style. But if you expect comfort, convenience and quality to be given priority, you’re in the right place… and you might be pleasantly surprised by what else you get. What exactly is so right about this one? Two things. One is the combination of the seven-speed DSG gearbox and 109bhp three-cylinder petrol engine with this beautifully set-up chassis. There are no driving mode buttons, no choices to be made between sportiness, economy and comfort, no option for heavier or lighter steering, firmer or softer suspension. What you see is what you get, and what you get works together in wonderful harmony. The other big factor is the estate body. ‘Estate’ is perhaps stretching the point a little; many would happily regard it as a hatchback, and the roofbars make it look even shorter than it is. 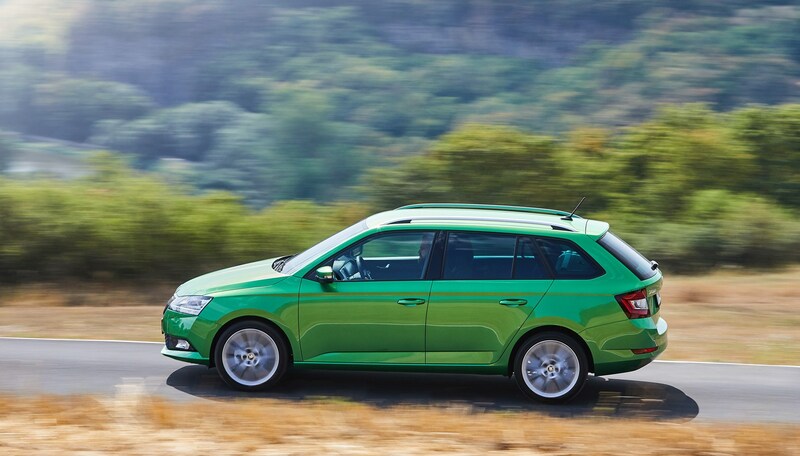 The actual Fabia hatchback is usefully roomy, but the Fabia Estate brings more space and more versatility. The boot opening is big and regular in shape, so it’s easy to get your bags and boxes in and out. The rear seats fold flat to increase luggage capacity from 530 to 1395 litres (the hatchback’s figures are 330 and 1150, which themselves dwarf the Polo’s 280 and 952). There are compartments that make it easy to separate fragile luggage – a carrier bag of eggs, tomatoes and meringues, for instance – from the rest of the boot. One of these compartments also contains a simple but useful elastic strap. And both compartments can be dismantled if you’d rather give every cubic inch to the main boot. Yawn… how very grown-up - where’s the excitement in all this? Trust us, this particular Fabia is a treat. And we’re not just talking about going into it with low expectations – we’re saying that it’s a joy to drive. The steering is accurate and communicative. The suspension is soft, but comfort is not at the expense of control; it’s perfect for UK roads. And even if your instincts are always to manual gearchanges, this DSG ’box is a treat. You can shift for yourself, but in practice the auto changes are so well calibrated that you’ll happily leave it to the algorithms. As you can see from the figures, it’s not a high-performance car. But the torque comes in nice and low, giving plenty of easily accessed acceleration. Its happy cruising speed is well above the legal limit. This assumes that most of your driving is with one or more passengers, maybe a dog, certainly some luggage. If you want a hot hatch, you’re looking in the wrong place. But as practical daily transport that’s far more fun than it needs to be, this is great. True. Dacia is several lengths ahead of the field in the value stakes, with only the odd challenge from Suzuki and perhaps SsangYong. 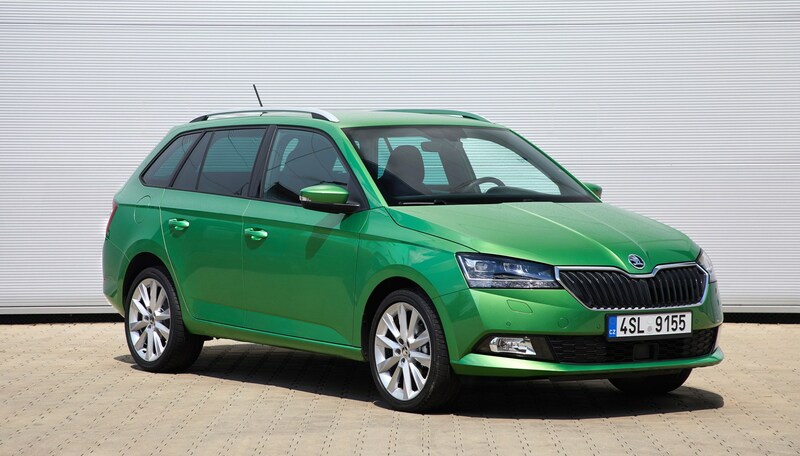 But the Fabia is very competitively priced in the context of German, French, Japanese and Korean alternatives. Prices start at just over £12k and stop just shy of £20k. Not that it’s got much in the way of direct opposition. The current Ibiza, Clio, 208 and Polo are not offered in estate form. The Dacia Logan MCV is splendidly roomy and remarkably cheap, but lacks the Skoda’s comfort, equipment and driving flair. Skoda is on a roll at the moment with its growing SUV range, and its Octavia and Superb are excellent passenger-orientated conventional cars, but don’t let all of that divert attention from how right the Fabia Estate is. It’s not for everybody, of course, but it really should be on the ‘maybe’ list of anyone currently considering a CX-3, Vitara, HR-V, Renegade or Juke. Take it on a test drive – ideally involving some twisty roads and a supermarket car park – and you’ll be hugely impressed by its responsiveness, comfort, roominess and easy-going nature.